John LaBrie’s path to college graduation wasn’t smooth. What has that taught him? 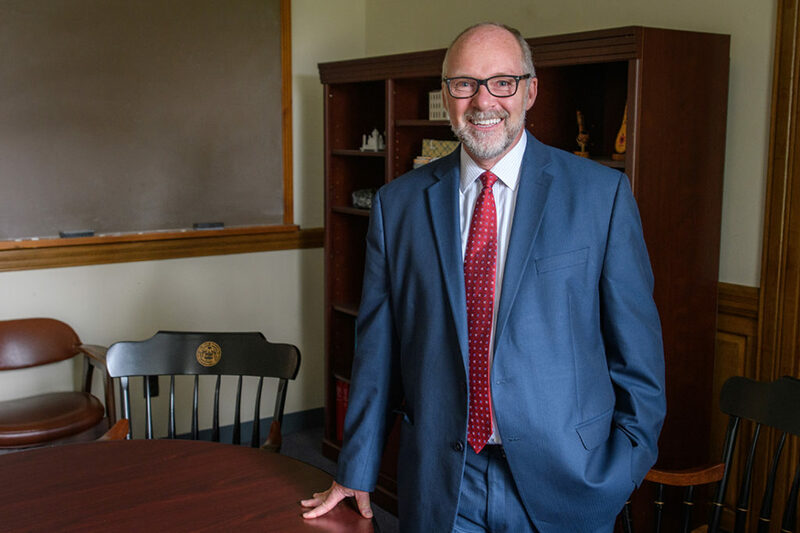 The Worcester Telegram and Gazette recently interviewed John LaBrie, dean of Clark University’s School of Professional Studies and associate provost for professional education, prompting him to reflect on his own path to higher education — and the challenges that colleges and universities now face. “The role of advanced education has always been to educate the leaders of tomorrow. Yet, many institutions became inwardly focused. They lost sight of the talent needs of industry and government. While our student numbers grew, there was no need to focus on our outcomes. After all, we had plenty of students to fill our seats. Our rating systems focused on inputs, not outputs. We focused on keeping people out rather than welcoming them in and increasingly ignored the shifts in our larger society. “With this shift, our outcomes are increasingly important. Our students ask us if they will get a job upon graduation. Parents want to understand our student support systems. Communities implore us to contribute to the quality of life on our streets. Even our ranking agencies are increasingly focused on where our students go, rather than where they came from. People want to know how we are leveraging technology to be more efficient, accessible, and effective. Even our faculty are challenging the sector to focus on the important things rather than fringe activities. To some traditionalists in higher education, all of this change is uncomfortable and does not sit well. Yet, these changes position schools for a new generation of growth and development. Read the full article on Clark’s Graduate Studies blog.